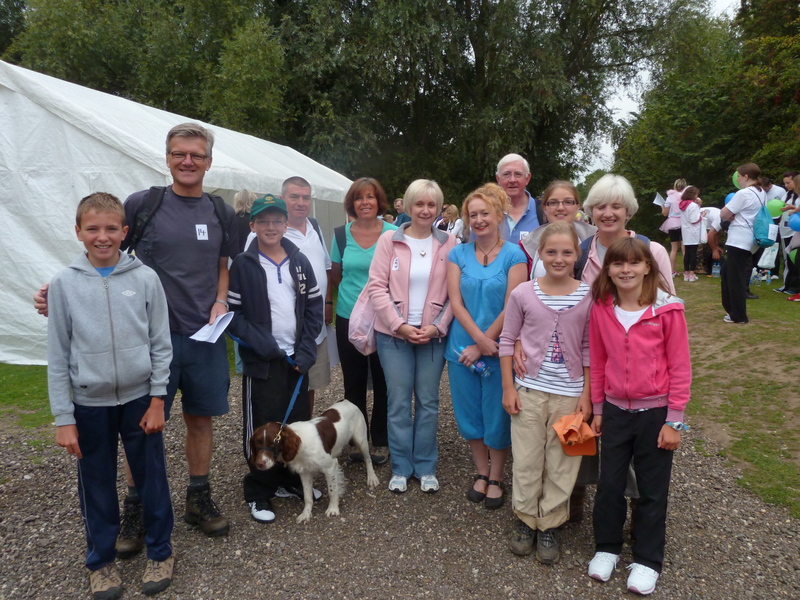 Lisa Redman, care manager for Home Instead Senior Care in Cambridge has long been a supporter of the Alzheimer’s Society and teamed up with colleagues and their families to fundraise for the organisation at the recent Cambridge Memory Walk. Lisa and her colleagues from at-home care company Home Instead completed the 12.4 mile route starting at Milton Country Park on Sunday 4th September. The team from Home Instead know the effects of dementia all too well, as they care for elderly people in their own homes right across the region, a good number of whom have been affected by Alzheimer’s. Lisa also wanted to complete the walk in memory of her friend Dusty Rhodes, who was also passionate about raising money for this cause. Photo caption: L-R: Jamie Ward, Home Instead owner Mike Francis, Monty Francis, Chris Ward, Home instead employees Elaine Ward, Alison Price and Lisa Redman, with David Bruce, Chloe Francis, Lucy Francis, Jane Francis, Becky Ward and Scoop the 8 month old Spaniel.